is a 59-year old hitchhiking grandfather of four, born in the Netherlands, but now living in Oostende in Belgium. Best 24 hour: 2,318.4 km, from Southern Yugoslavia (1989-07-05T00:00) to just before Raststätte Hamburg-Stillhorn (Germany) (1989-07-05T24:00). 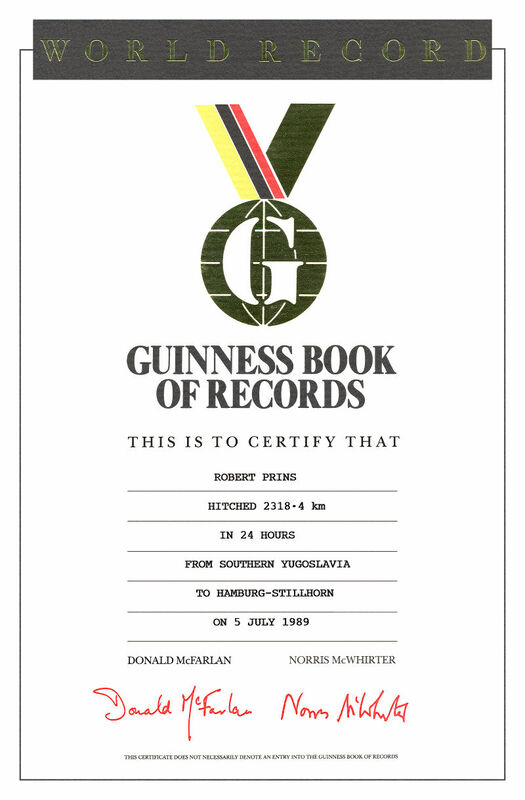 This record can be found on page 179 of the 1991 UK edition of the Guinness Book of Records, the full details of the four rides that gave Prino his "15 minutes of fame" can be found here. Best calendar month: 9,936.4 km, July 1990 - 17 hitchhiking days, the De Bilt to Athína part of trip 11. He is the author of a set of programs to extract various statistics from notes made while hitchhiking. The programs are written in Pascal and a here is the fairly comprehensive manual. He maintains a copy of "Hitch-hiking" by Mario Rinvolucri, just in case the original webified version by Bernd Wechner disappears again. In his daily life he is an analyst programmer using IBM's z/OS with more than 32 years of experience in PL/I and somewhat less in DB2, CICS, REXX and IDMS. He is the author and maintainer of a set of REXX execs that can be used to convert legacy languages into HTML. 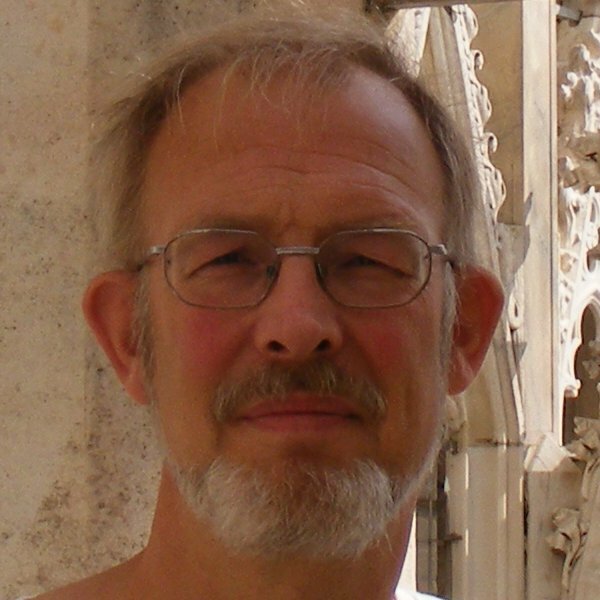 He is also, since February 2003, the maintainer of the mini-FAQ for the comp.lang.pascal.borland Usenet newsgroup. The name "prino" was "given" to him in 1974 by his chemistry teacher, Eelco Hessling. When going through the names in his teachers notebook, he could not read his own handwriting, called "Robert Prins" "Robert Prino". The name was taken over by a few of his classmates and has stuck ever since.